Let’s be honest, we all need to escape to nature. Not only has it been proven to be therapeutic for humans, but it’s a natural stress reliever that’s sure to restore the batteries, ground you, and help you appreciate the beauty in your everyday surroundings. 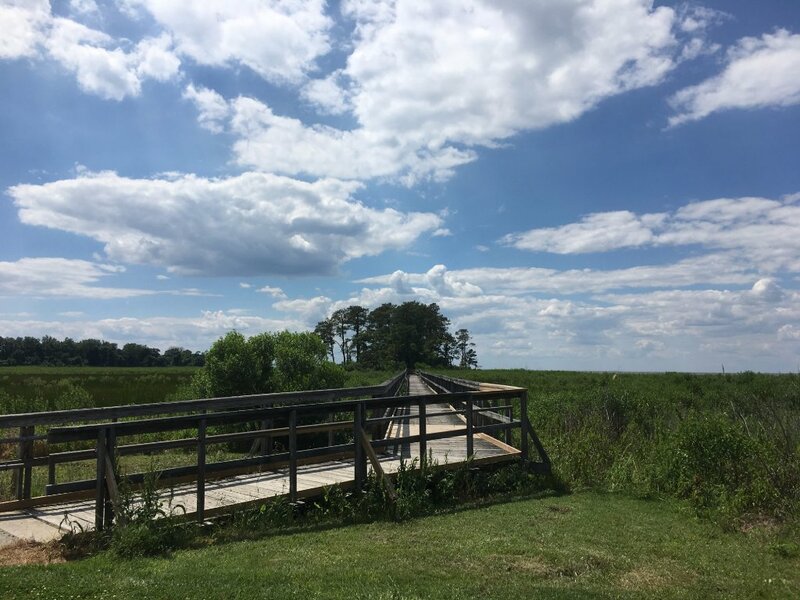 If you’re in need of an escape to nature, consider the beautiful Eastern Neck Wildlife Refuge- a popular oasis featuring the dichotomy of natural, scenic landscapes and the co-habitational realm of the animal kingdom. The Eastern Neck Wildlife Refuge is located in Rock Hall, Maryland at 1730 Eastern Neck. There you will find a vast array of wild plant and animal species that call it home, painted together in one beautiful, scenic, 3-D landscape. The Eastern Neck view features an abundance of golden, softly swaying wild-life friendly marsh plants. It looks a bit like something out of the tropics of West Africa but with the comfortable, moist environment of the United States eastern shores. “We were down here just after New Year’s it was quiet and deserted. Wow, did we love it. The views over the Chester River and the Chesapeake Bay where spectacular not to mention all the different birds we had seen. Many nice nature trails and excursions to do on foot that were very interesting.” View Original. “On an island point jutting into the Chesapeake, this refuge offers a glimpse of Maryland waterfowl and other wildlife. Paved roads take you to various trailheads where you can walk on flat trails. There are a variety of habitats including woodlands, fields and tidal flats. The visitors center has some nice displays and an observation area. Several overlooks allow you to view the Chesapeake Bay bridge and Baltimore across the Bay.” View original. “We have been coming to Rockhall annually for 8 years and somehow never knew this gem of a place was here. Beautiful scenic trails and drives. Fantastic bird watching. And the butterfly gardens were just inspiring! We will definitely be back next year!” View original. “This is a national wildlife refuge located on the Chesapeake Bay outside of the town of Rock Hall. Deer, wild turkeys numerous species of birds including Ospreys and Bald Eagles populate the area. Enjoy recreational areas, hiking trails, butterfly trails,observatory platforms and fishing off the bridge that connects the island to the mainland. Row boat rentals are available April-September.” View original. If an escape to see the beautiful scenery of the Chesapeake Bay is in the works for you, plan your trip to Rock Hall, Maryland. Rock Hall features beautiful, historic inns and B & B’s, and while you’re in the area, stop in the Wheelhouse and other local eateries for our delicious selection of local favorites! Make Rock Hall your next destination to escape to a nautical oasis and to re-immerse yourself in nature at the Eastern Neck Wildlife Refuge.